Around the world, 1.3 billion people are dealing with blindness or impaired vision. Tomorrow, you could be one of them. Vision is one of those things we tend to take for granted because it’s always been there. Even if you need glasses or contacts, at least you have the option to have clear vision when you want to. The fact is that there are many lifestyle choices that can put you at risk for vision impairment. You can fight back and protect your sight with these eye care tips. While some people are genetically prone to eye problems, no one is immune to them. Protect your vision at any age with these tips. 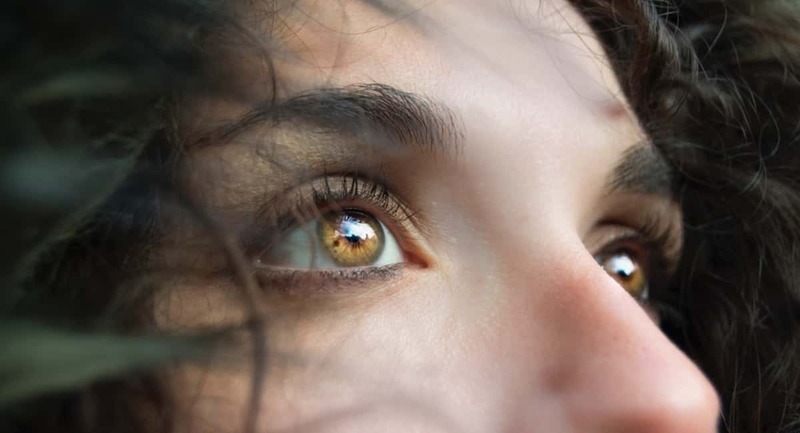 Regular exercise helps so many aspects of your health, and your eyes are no exception. Going for a run, taking a hike, or hitting the yoga mat can boost your blood flow. That’s important to your eyes for a few reasons. First, blood brings oxygen to your eyes, which is essential for healthy functioning. In addition, blood carries nutrients to your eyes. These nutrients give your cells what they need to stay strong and powerful. If you’re like many of us, you spend a large amount of your time staring at a screen. Whether it’s for work or fun, too much screen time can be hard on your eyes. To combat a condition called computer vision syndrome, follow the 20-20-20 rule. Every 20 minutes, focus on an item that’s 20 feet away for 20 seconds. Make sure that item isn’t a TV or something else with a screen. Most people think of their annual eye exam as the time when they update their lens prescription. If your glasses or contacts still work well, you might be tempted to skip the appointment. Your annual exam is an important opportunity for your eye doctor to look for signs of eye problems. They test for conditions like glaucoma and problems with various parts of your eyes. If you’re keeping up with your annual exams, your eye doctor may be able to spot conditions before you start having symptoms. The earlier you catch them, the easier it is to treat many of these issues. If you have seasonal allergies, we don’t need to tell you how much eye drops can help during allergy season. Did you know they can help with other eye discomforts too, though? Eye drops are especially helpful for bloodshot eyes. As this blog explains, your eyes get bloodshot when the blood vessels dilate. Allergy drops will constrict those dilated vessels, helping your eyes become bright and clear again. Keep in mind that there are other eye drops for dry eyes. These can be handy to have with you as well, especially during the winter or if you live in a dry climate. Sunglasses don’t just make you look cool. They’re also an important way to keep your eyes healthy. The sun’s ultraviolet rays can do long-term damage to your eyes if you’re exposed to the sun too much. Too much sunlight can fatigue your eyes and make them uncomfortable too. When you go outside, wear sunglasses that offer protection against UVA and UVB light. As an added bonus, your sunglasses can lower your risk for skin cancer and premature aging in the delicate skin around your eyes. Your diet is an essential way to get the nutrients every cell in your body needs. Your eyes are no exception. Your eyes need a varied balance of vitamins and minerals, though certain ones are more vital. Vitamin A and vitamin C are both important for eye health. You also need plenty of omega-3 fatty acids, like those you find in certain types of fish. Certain parts of your diet can also protect your eyes against damage. For instance, antioxidants keep your eyes safe from pollution and other free radicals. Tracking every vitamin in your diet is time-consuming and may not be necessary. Start with a simple food journal and learn about the most nutrient-rich foods to add to your diet. One of the worst things you can do for your eyes is to rub them with your hands. No matter how often you wash your hands, it’s impossible to avoid all bacteria that can infect your eyes. Every time you touch your eyes, you’re running the risk of infection. The times when it’s hardest to avoid touching your eyes are also the most important. If you have something in your eye, rubbing it can scratch your cornea. Instead, close the eye and be patient. Your body knows how to push invaders to the corner of your eye so you can get them out. The only time it’s okay to touch your eyes is when you’re putting in or taking out your contacts. Even then, always wash your hands with antibacterial soap before you start. If you smoke, it could be doing more damage to your eyes than you realize. Smoking damages your blood circulation. As we mentioned above, that circulation is vital because it brings your eyes the oxygen and nutrients it needs. Now that people know how dangerous smoking is, more people are seeking other sources of nicotine. This includes vaping, chewing tobacco, and more. All these pose risks to your eye health too. Nicotine raises your blood pressure. High blood pressure damages the blood vessels throughout your body. Over time, it can lead to a condition called hypertensive retinopathy. It’s safest to avoid all forms of nicotine, as well as secondhand smoke. There are countless reasons people lose their vision, from aging to injuries. While there are no guarantees in life, the eye care tips above can help you lower your risk for eye illnesses and vision loss for decades to come. For more tips on living a healthy, happy life, check out more articles on our health and wellness blog.